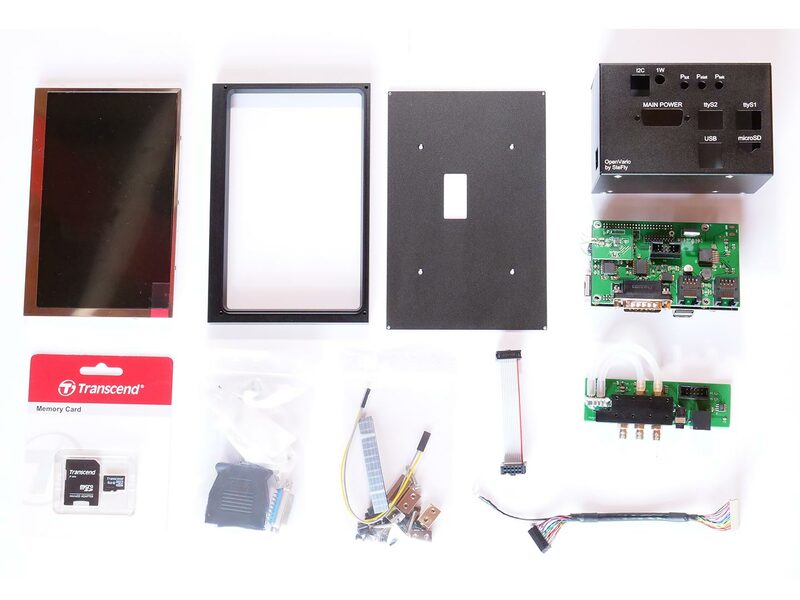 What is included in the OpenVario kit? 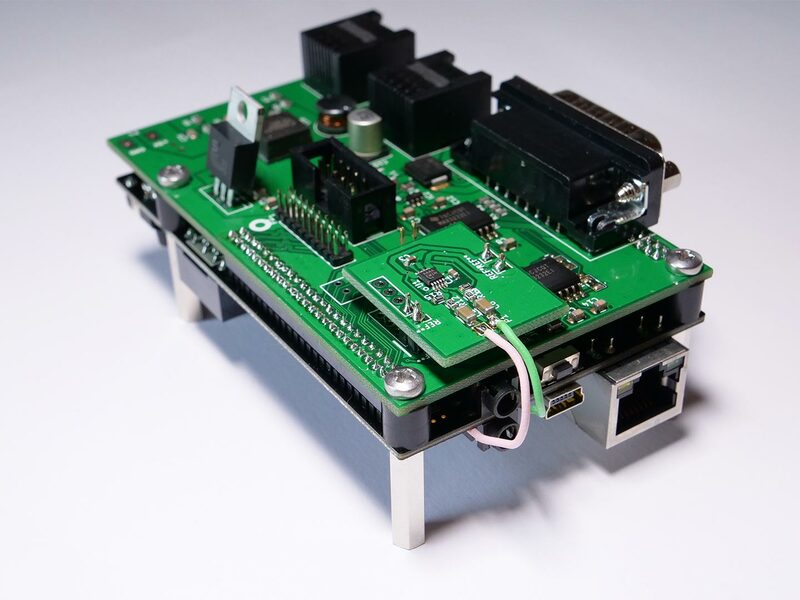 Mount the Adapterboard to the Cubieboard like shown in the picture. 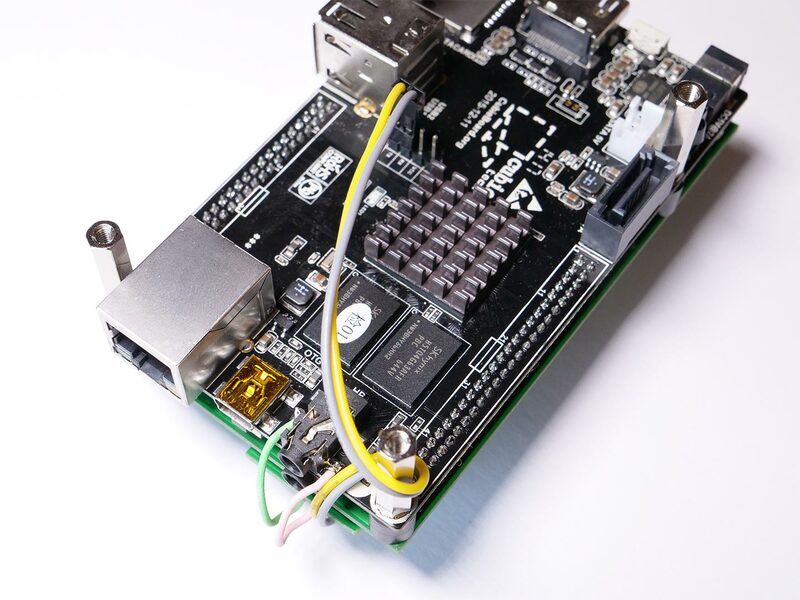 Be cautious when you need to readjust the distance between Adapterboard (green) and Cubieboard (black). 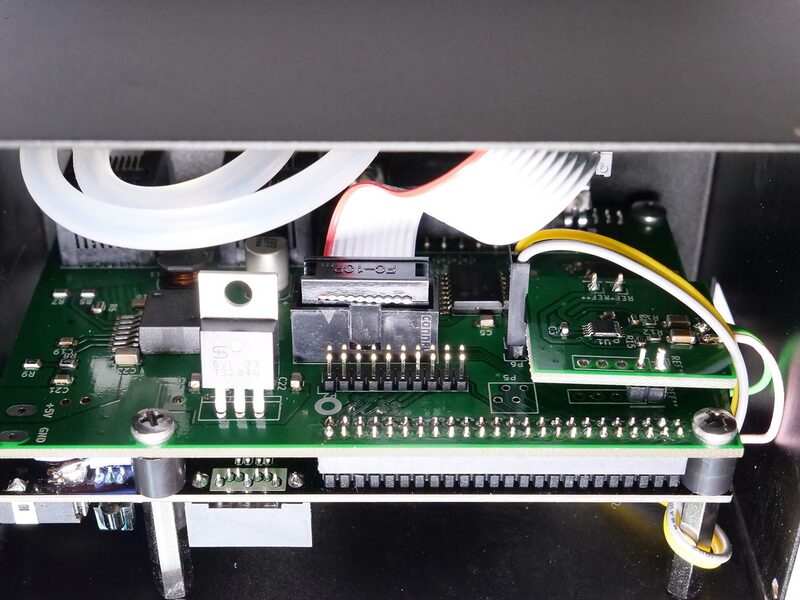 Only apply force in the area of the pinheaders, so that you don´t bend the thin Cubieboard too much. 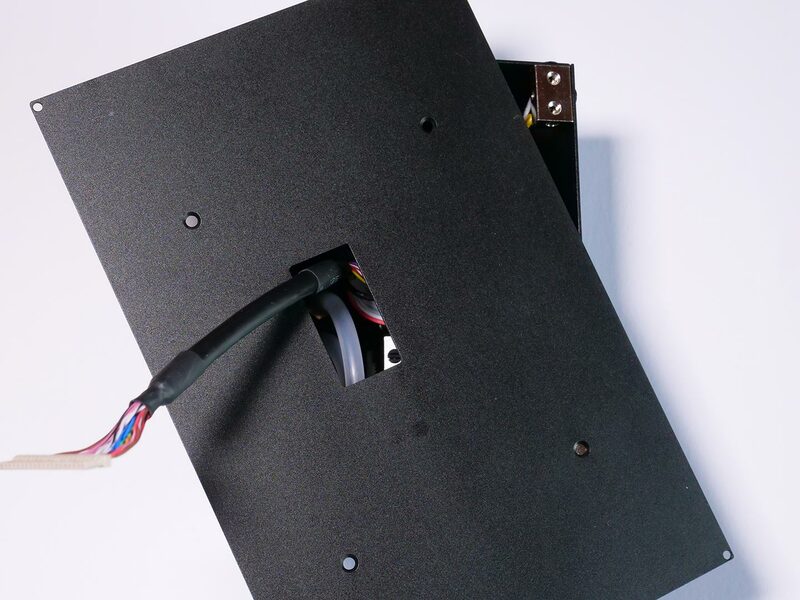 There are 2 mounting holes on each side. 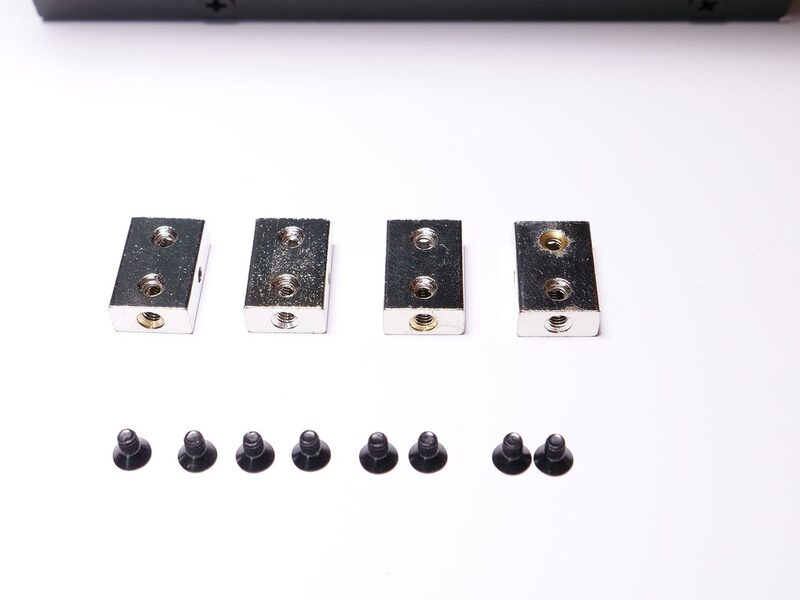 For all screws we recommend to use bolt adhesive. 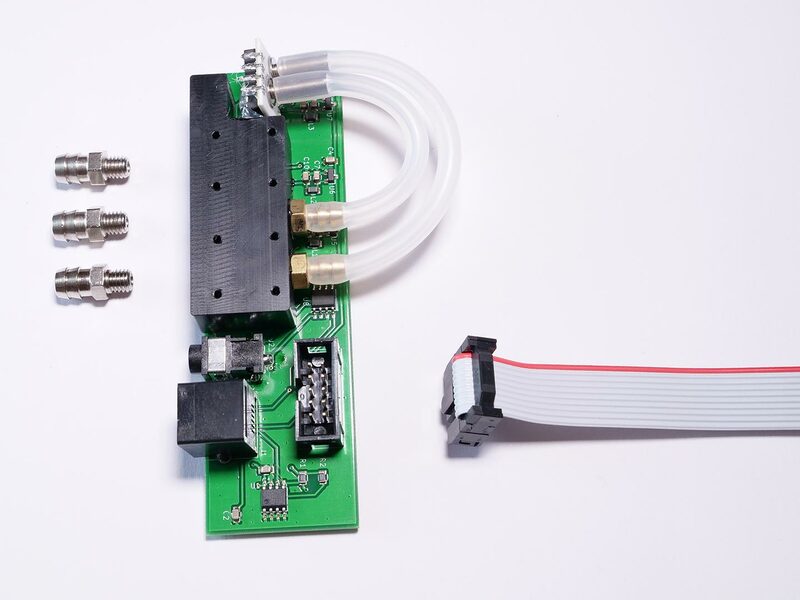 Now you can attache the 2 pin serial cable between the Adapterboard & Cubieboard. 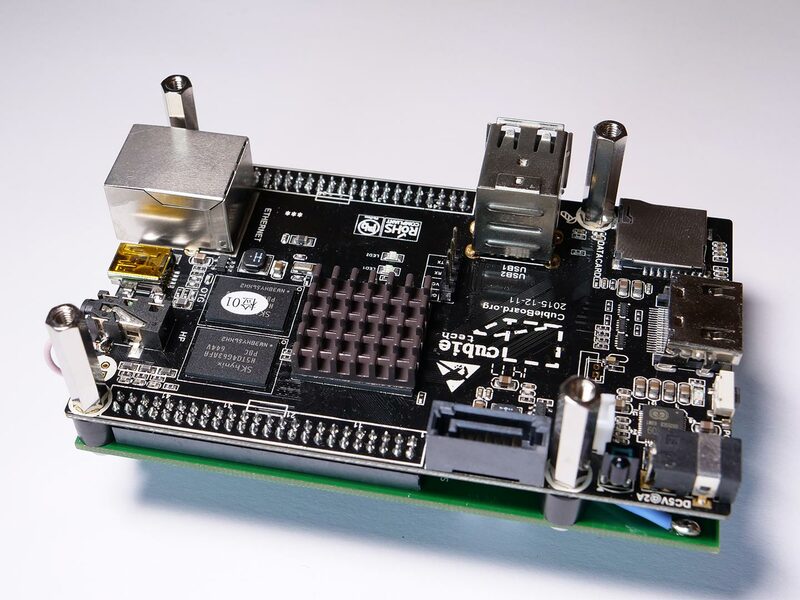 The Cubieboard has a pinheader with 4 pins, but we only use the RX and TX pin. Attache the cable to the RX and TX pin. 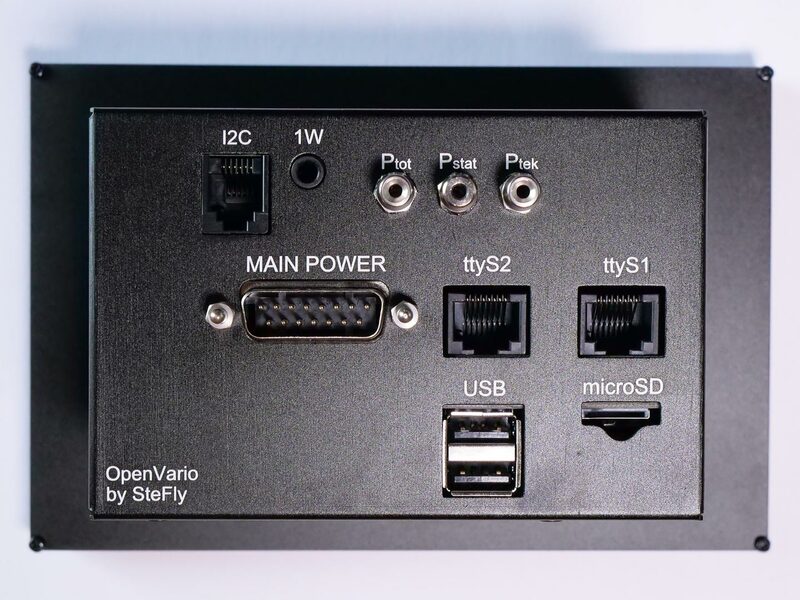 If you don´t install the serial cable, you still have 3 serial ports on the OpenVario for external devices. And at the moment, ttyS0 (UART 1) is only configured for debugging purpose. Now flip the package, so that the Adapterboard is on top. 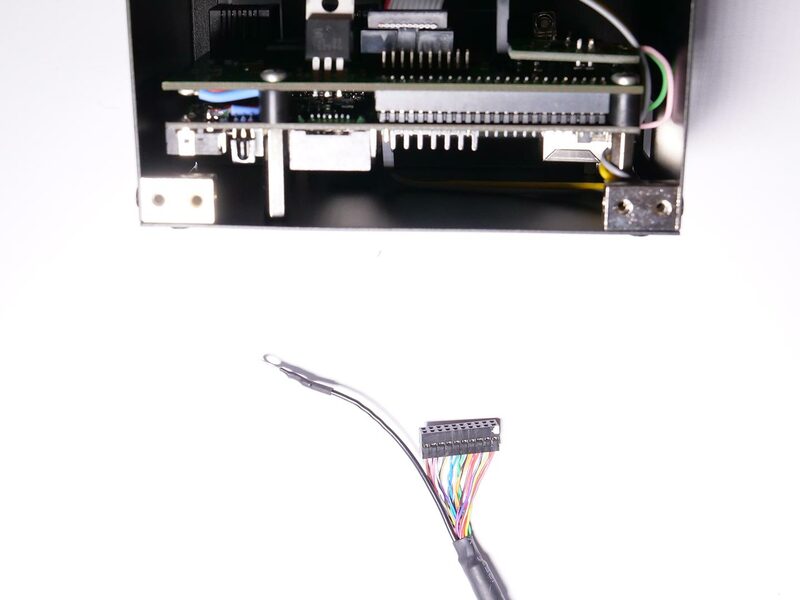 There you will find a 2 pin pinheader, which is located in the middle of the Adapterboard. 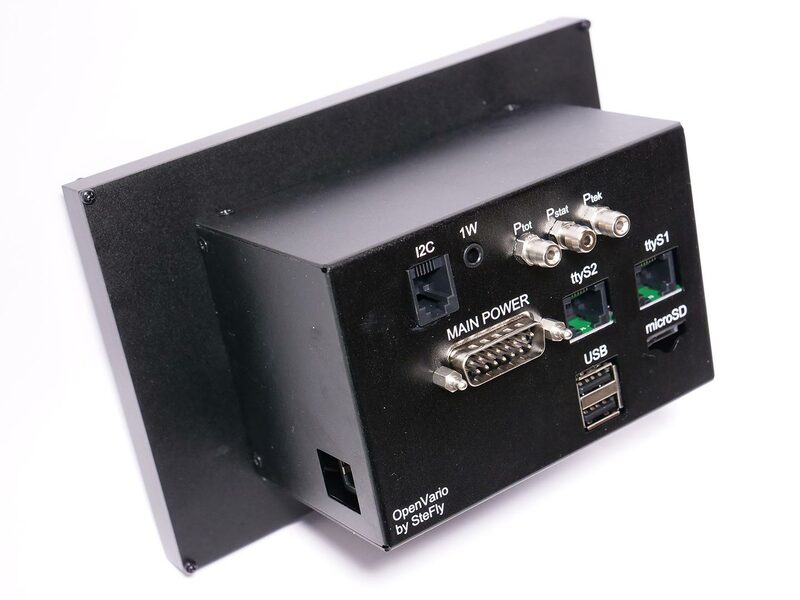 Connect the cable here, so that you don´t twist the cables. 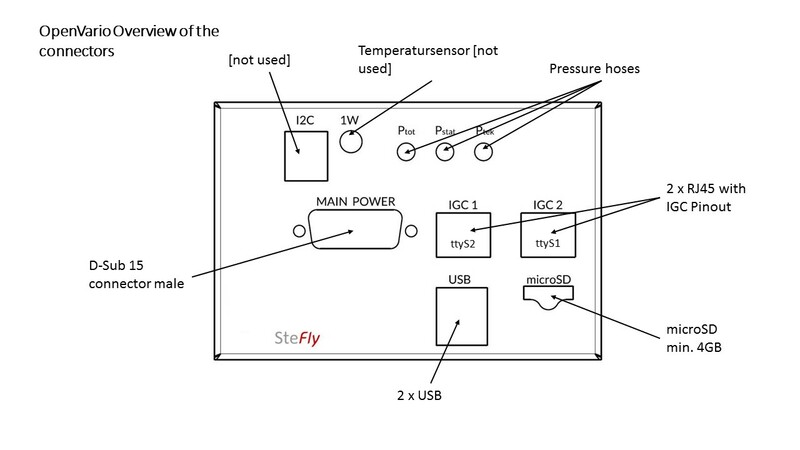 In this example the yellow cable is on the side of the USB port. 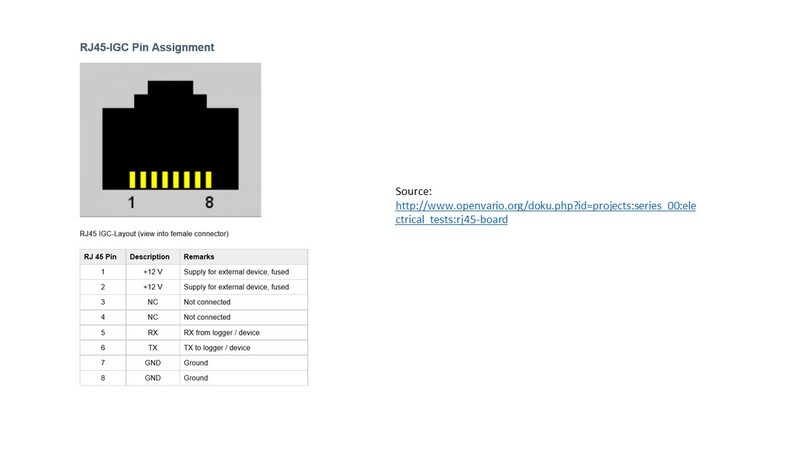 The colour of the cable can be different in your OpenVario kit. You can wind the serial cable around the distance bolt like shown in the picture. 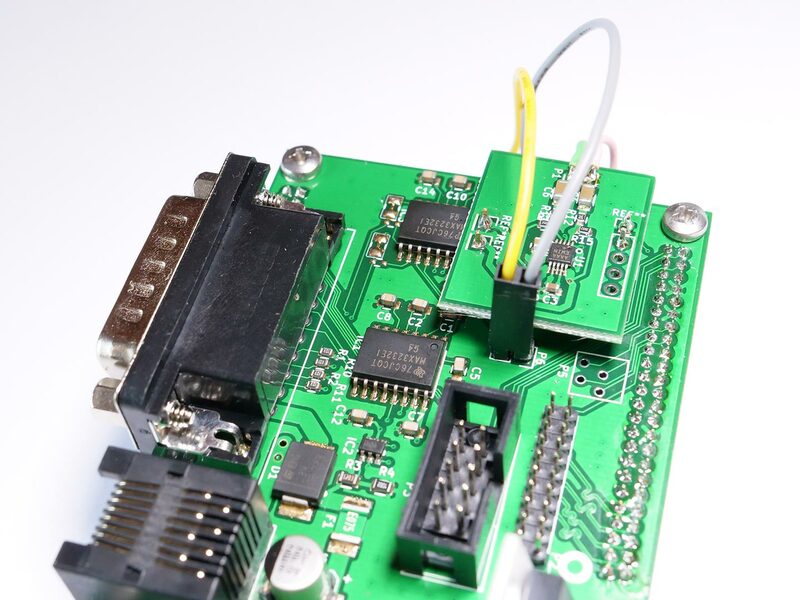 Install the Sensorboard calbe on the IDC header of the Sensorboard like shown in the picture. 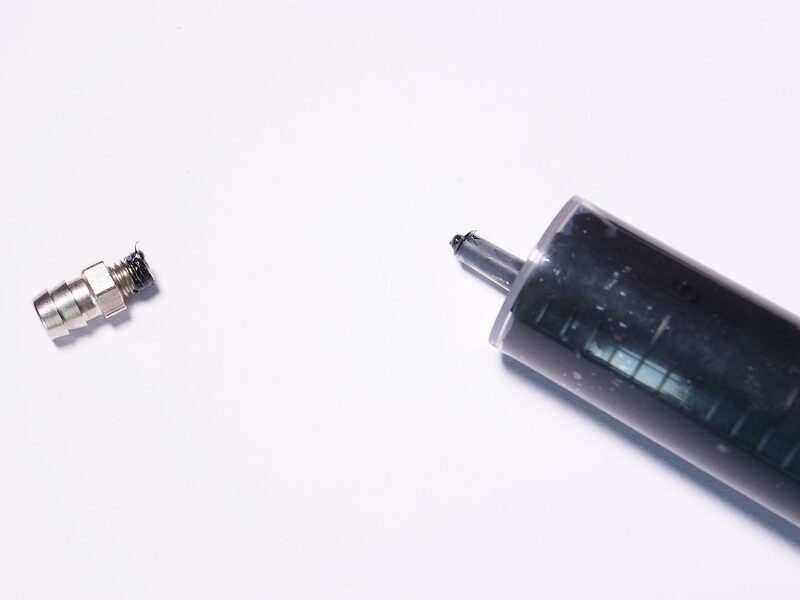 Sealing of the pressure hoses of the sensorboard is highly recommended to ensure the air-tightness. Take some Sikaflex 221 (e.g. decanted in a syringe) and put it on the threads of the three pressure hoses. Be careful not to use too much, otherwise it will squeeze out and can close the pressure hole. 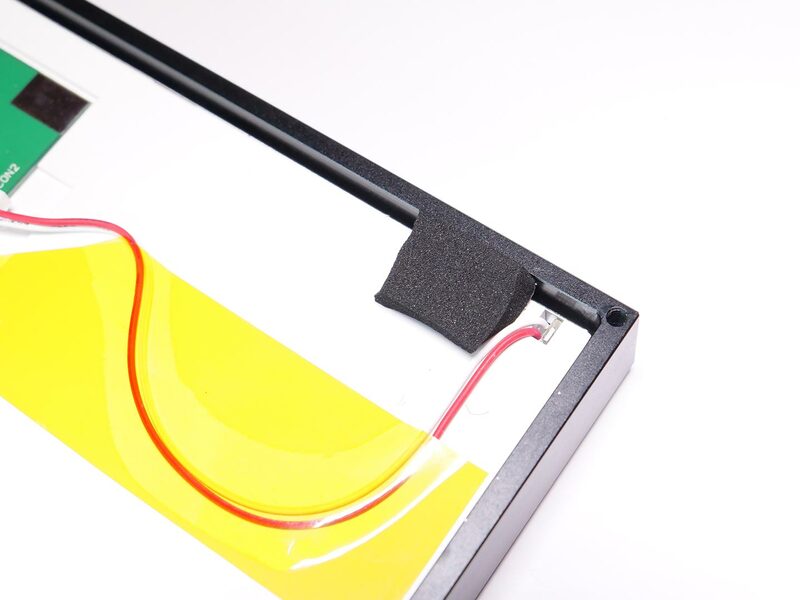 Now you can carefully insert the Sensorboard into the housing. Look at the correct alignment before you fasten the pressure hoses. 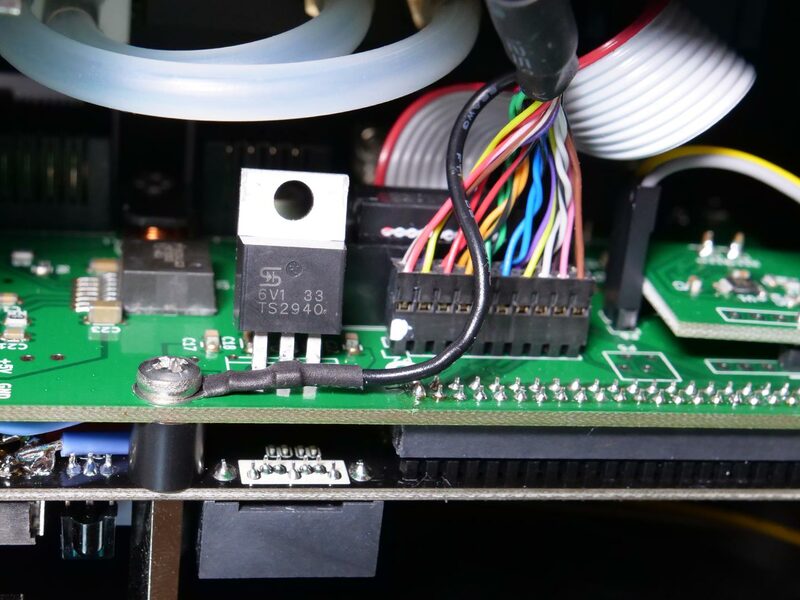 Before installing the Adapterboard & Cubieboard package in the housing, you need to unscrew the distance bolts on the D-Sub 15 connector. The loose metal cover should stay on the connector in the correct direction. The original distance bolts are not needed anymore and replaced by the quick lock distance bolts. 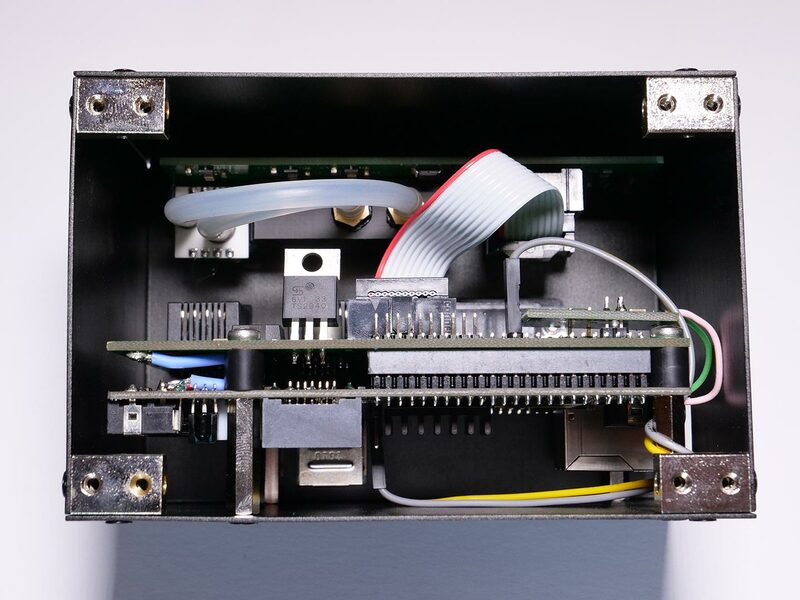 Insert the Adapterboard & Cubieboard package into the rear housing box, so that the connectors at the back side matches the holes. 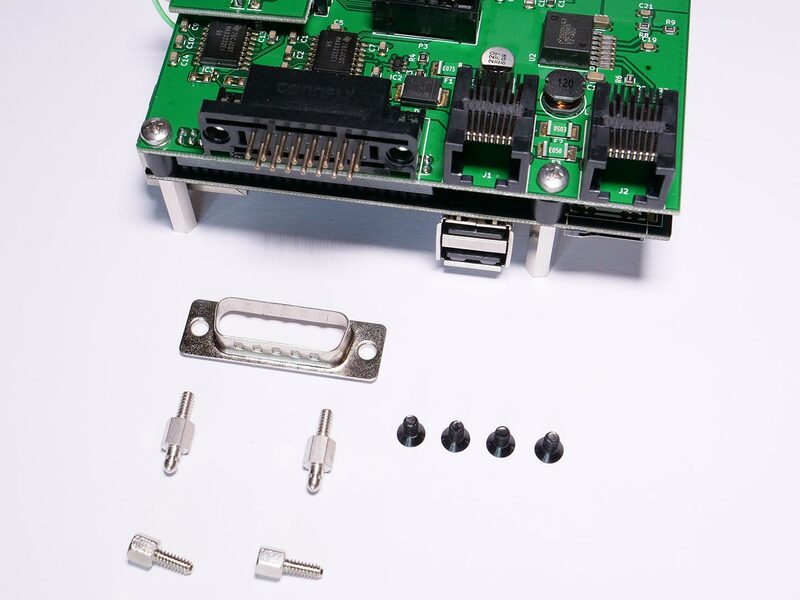 Take care of the loose metal part from the D-Sub 15 connector. 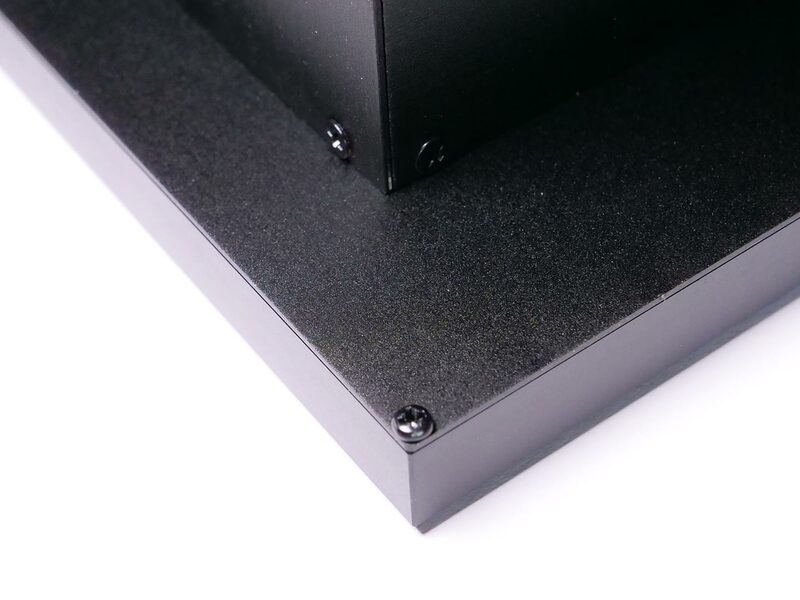 When everything looks fine, you can screw in the 4 black M3 countersunk screws. 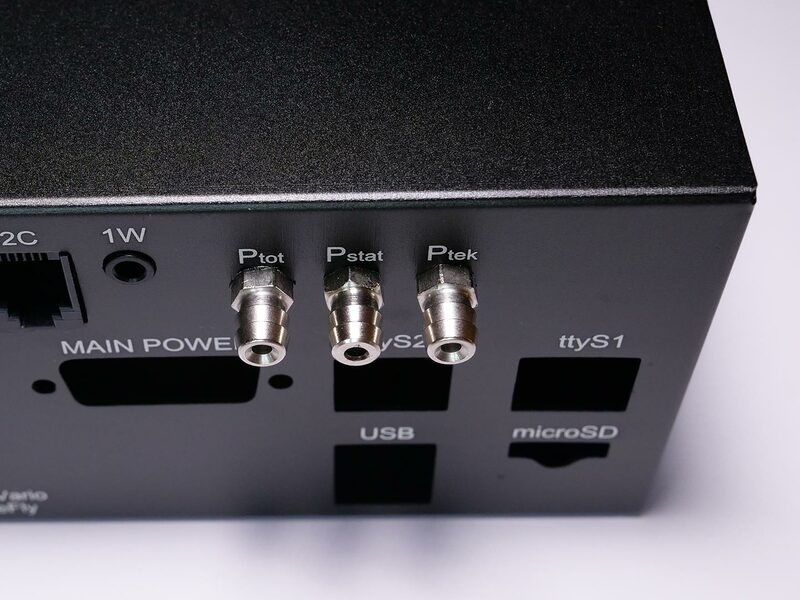 After that, you need to install the quick lock distance bolts at the D-Sub connector. 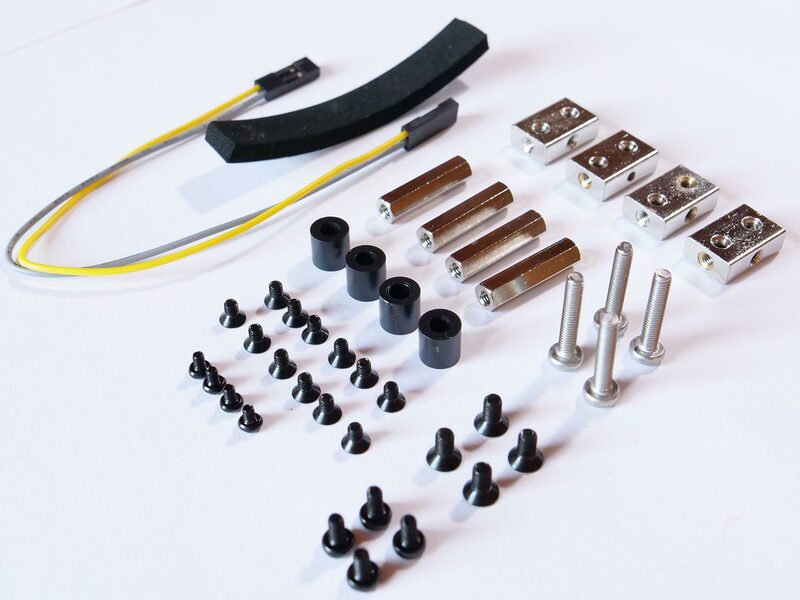 Install the sensorboard cable like shown in the picture. Install all four mounting blocks like shown in the picture. Take care to use the spot faced sides of the mounting block, where you install a screw. Here is only an other detailed picture. 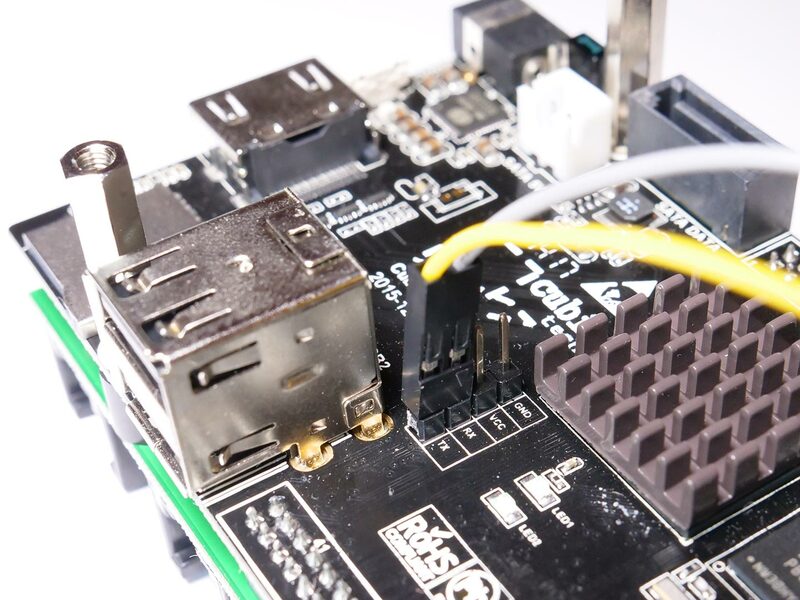 Plug in the display cable connector to the adapterboard like shwon in the picture. Take care of the orientation!! 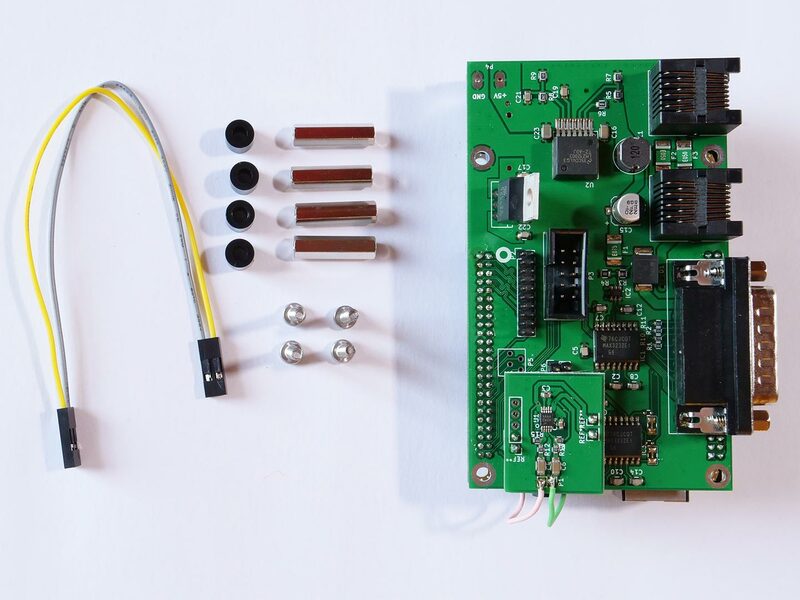 There is one whit dot at the connector housing and one white circle at the adapterboard for orientation. 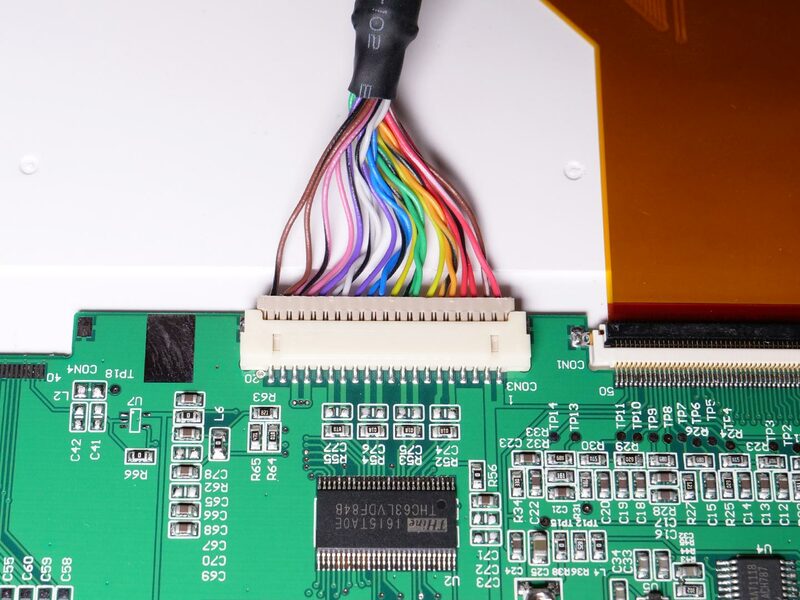 In this picture, the white dot is at the left side of the display cable connector. 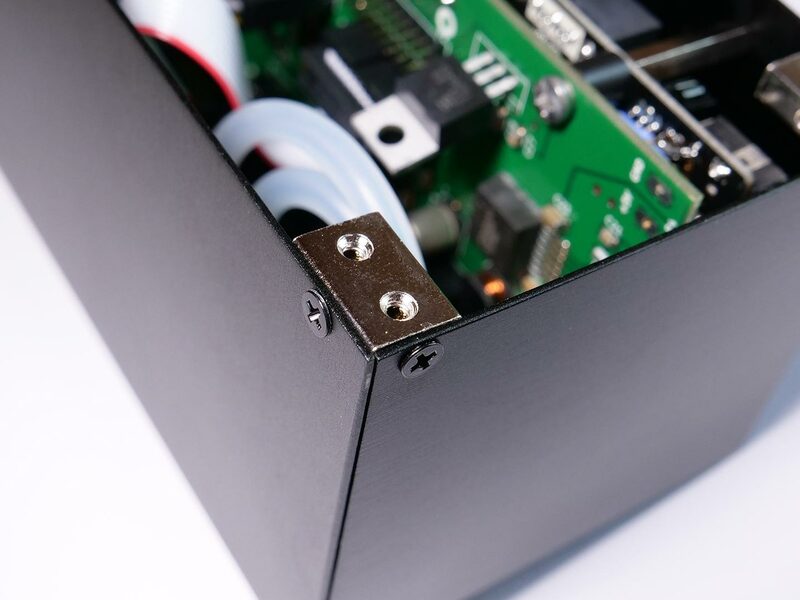 Also attache the cable shielding (black wire) to the screw like shown in the picture. Install the front plate so, that the countersunk holes are looking to you. 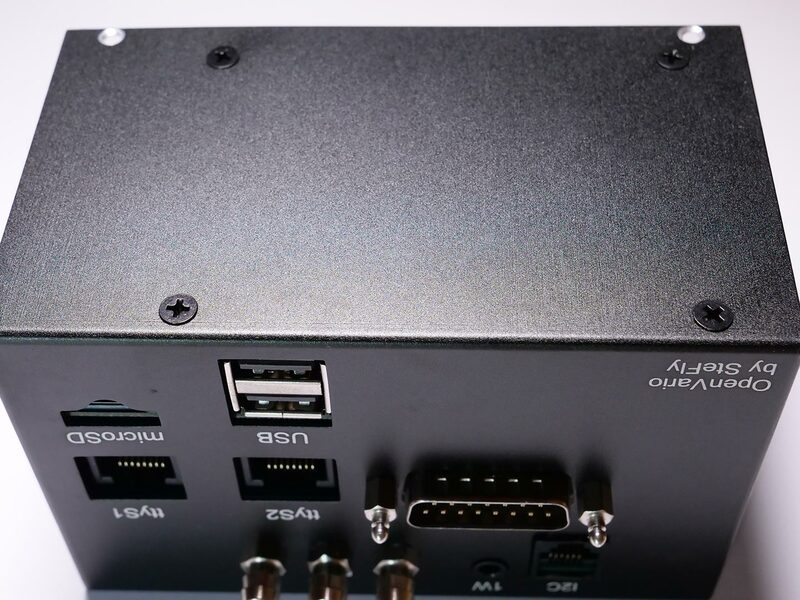 Very important is, that the rectangular cutout for the displaycable is matching the display connection at the display. The cutout is not in center! Mount the front plate with 4 x M2.5 black countersunk screws in the correct orientation. 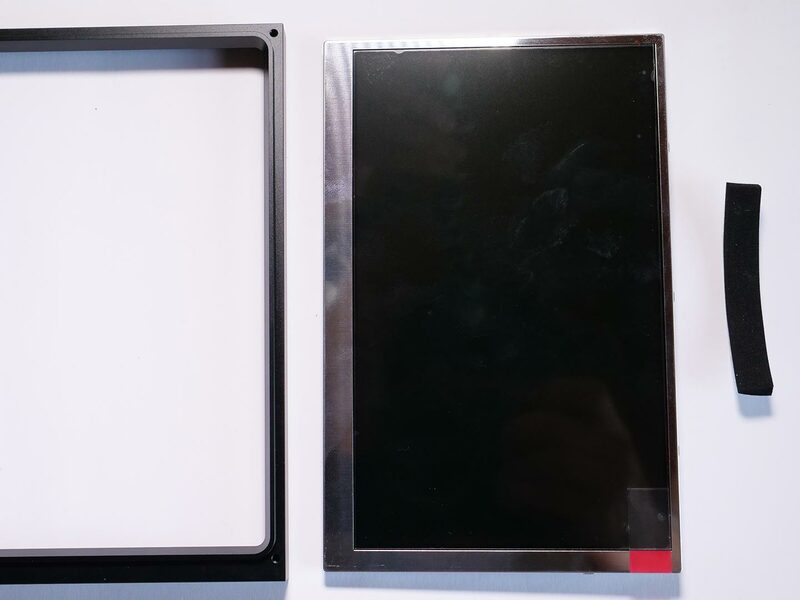 Install the display in the front frame, so that you can´t see the metallic display cover within the frame at the front side. Now you cut the foam strip in 4 small strips and attache them like shown in the picture. At the corner with the white and red wire, I would not recommend to put the foam strip above the cables. 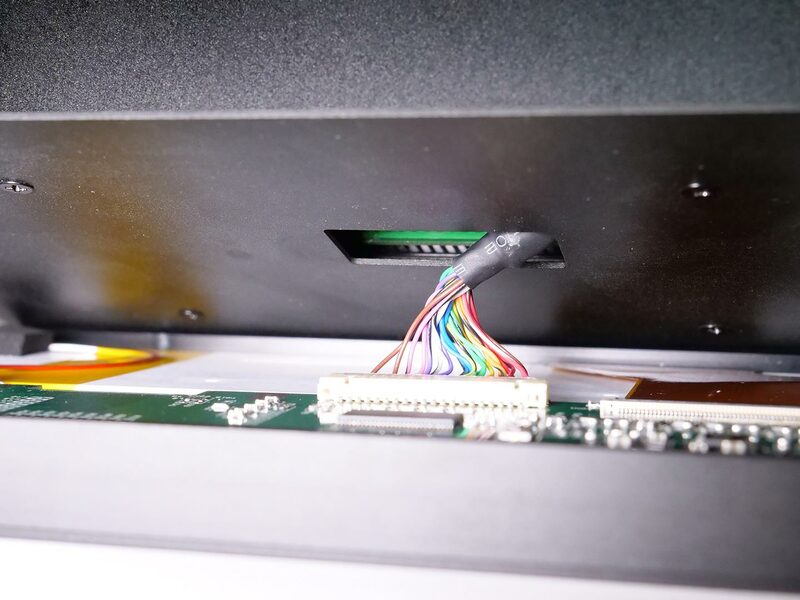 If you want to remove the foam strip one day, you can easily brake the cables and it applies more pressure to the display (thickness of cables). 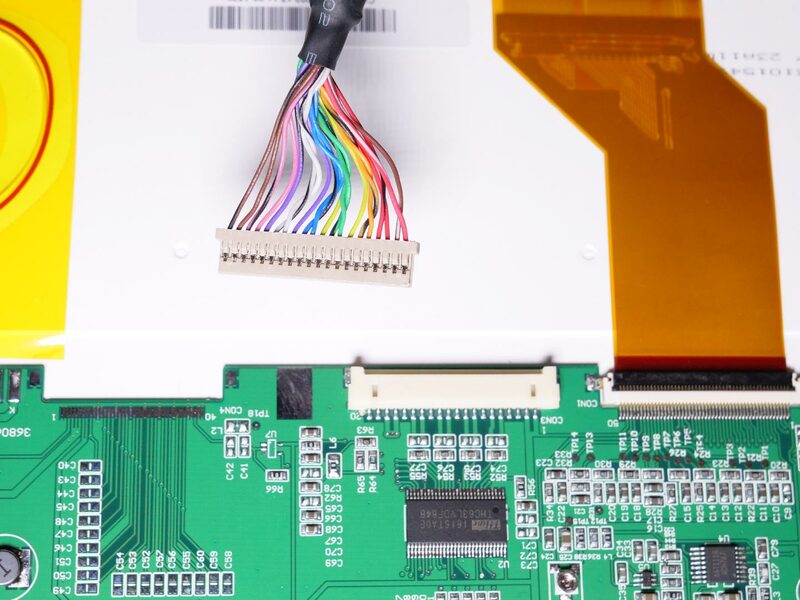 Insert the display cable in the display connector. Take care to install it in the correct orientation. The installed displaycable should look like this. 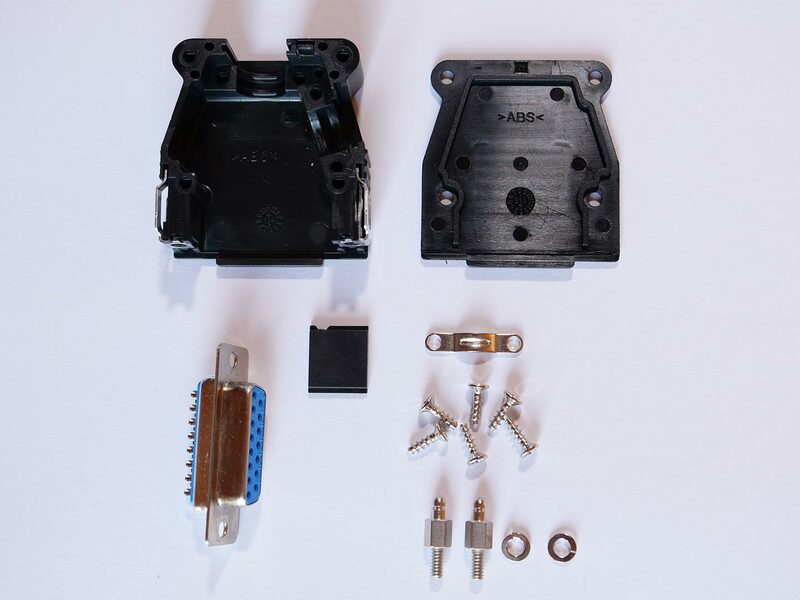 Now you can make the final assembly of the back and front housing. 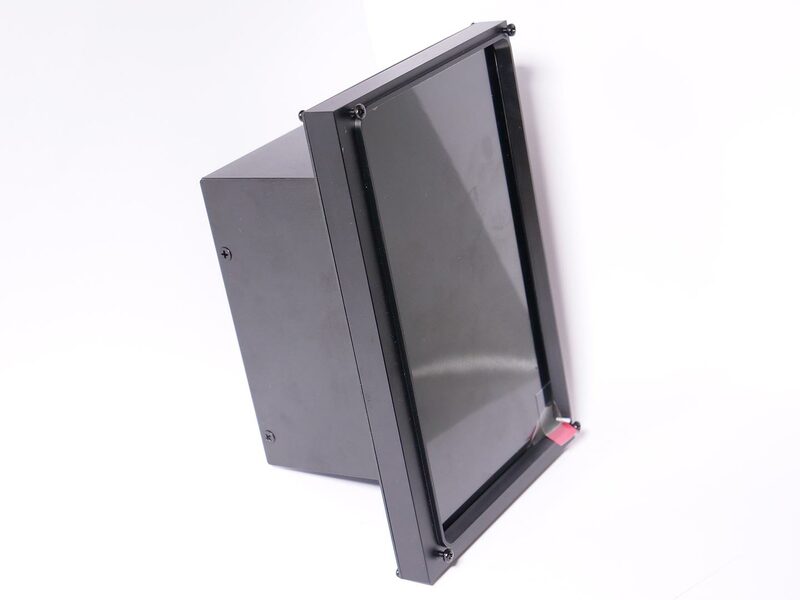 Take care to use the correct orientation, so that the display connector and the cutout at the front plate are matching. For more details read again Part 7. Carefully put the stiff cable into the back housing, so that there is no stiff shielding left between display and front plate. Take care at this step, because the display is a very fragile part and it can easily break if you put too much pressure on it. 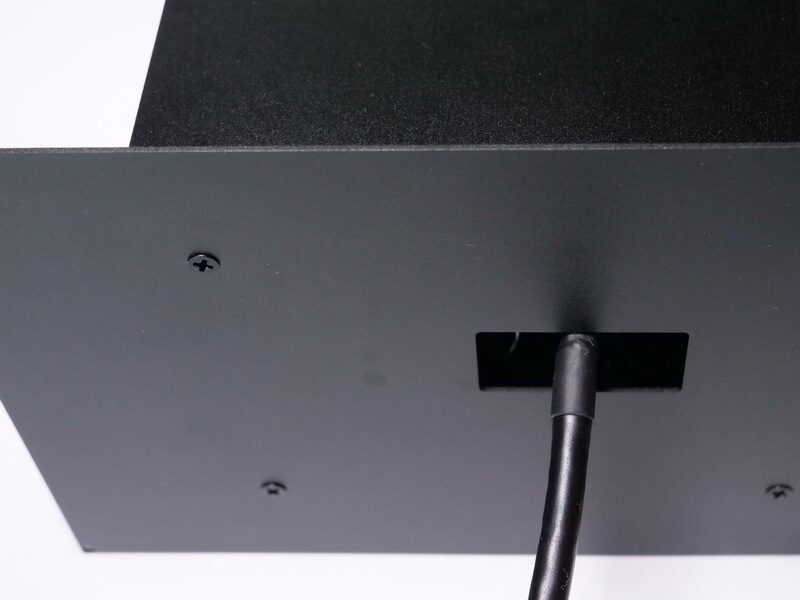 At the end you take the 4 x M2,5 black countersunk screws and install them at the corners. Congratulations! 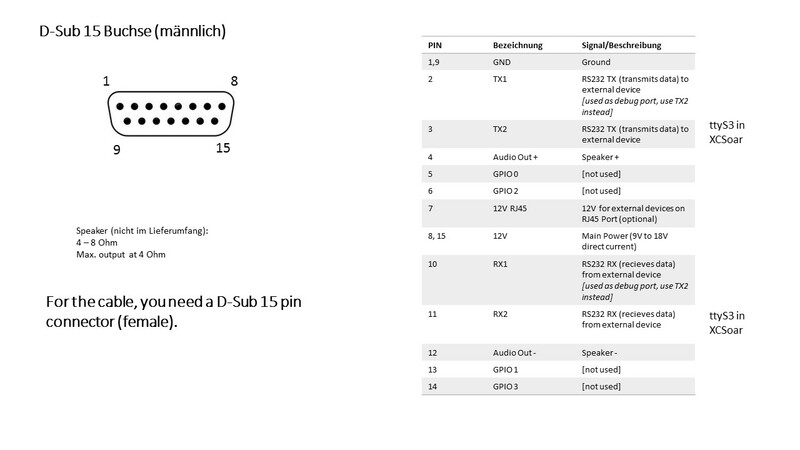 That´s it with the mechanical assembly and you should now proceed soldering the D-Sub 15 connector.